As a graduate student at the University of Connecticut, Sarah McAnulty was struck by the anti-science and pseudoscience she saw in the news and in friends who trusted their internet-inspired juice cleanse more than they trusted medical research. Sarah looked for a way to change that perception by connecting real-life researchers with the general public. But most science outreach formats attract participants who are already open to learning. “If you’re blogging or on Twitter,” Sarah observed, “you’re attracting a group of people who are interested in science in the first place. Where in society do you have a basic cross section of the whole culture? In that moment, Skype a Scientist was born. The program connects active researchers with classrooms and other groups around the globe, allowing scientists to introduce the public to their work. By ‘meeting’ a real-life scientist, the session can repaint a student’s mental image of a scientist from stodgy old man in a dusty laboratory to a more exiting reality: a person who may look a lot like them. 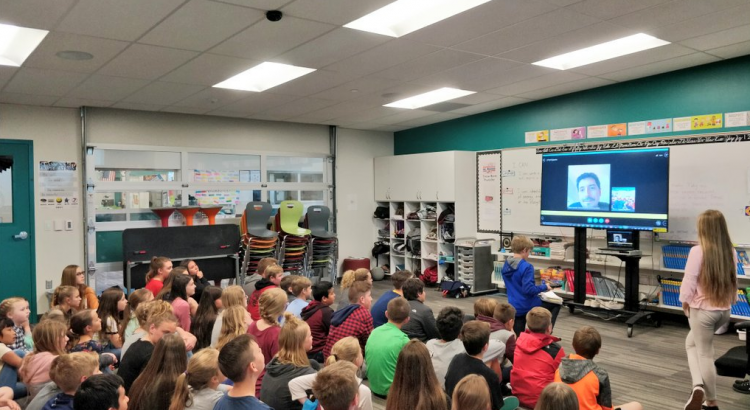 In its very first year, Skype a Scientist connected 400 scientists with 800 classrooms. This year, they’re aiming to reach 10,000 classrooms, and they’re well on their way. And perhaps that’s the real magic behind Skype a Scientist: revealing the personalities behind the papers, and demonstrating that a career in science can be exciting, inclusive, and impactful. If you are a scientist who would like to share your work, simply go to SkypeAScientist.com and click the “Sign Up as a Scientists” button. If you’re not sure you’re ready and would like to see other scientists in action, check out a Skype a Scientist Live session. 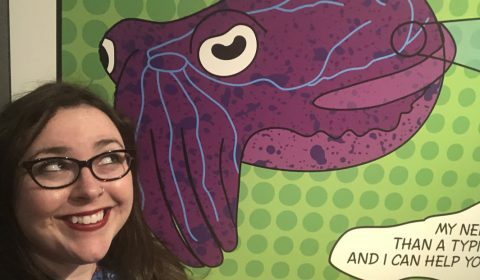 Sarah will talk about her work with squid on September 4th, 2018, or check out other live sessions covering topics from sharks to volcanoes! You can also reach Sarah on Twitter and Instagram: @sarahmackattack, or follow Skype a Scientist directly. Last but not least, we sample the Hopulent India Pale Ale from Epic Brewing in Salt Lake City, Utah. Thanks again, Matthew! And we discuss Hawaii’s upcoming ban on certain chemical sunblocks that appear to harming coral reefs. It’s a case that highlights the variety of approaches countries take to chemical safety for people and the environment.